Surfboards, swimsuits, and the glowy light of California for wave-riding honeymoon. urfboards, the sunny glow of California, modern and sporty chic swimwear, and major wave-catching vibes... this honeymoon inspiration shoot is a beach lover's dream! For those Virginians going to the West Coast for their getaway, Carlsbad Beach is just north of San Diego and ready for lovebirds seeking Vitamin Sea! With miles and miles of surf and sand, it's a fab spot to set down your beach towels, relax in the sun, and channel your inner surfer. And if you're traveling around southern California, Carlsbad's casual shores will definitely get you in the perfect vacay mood. 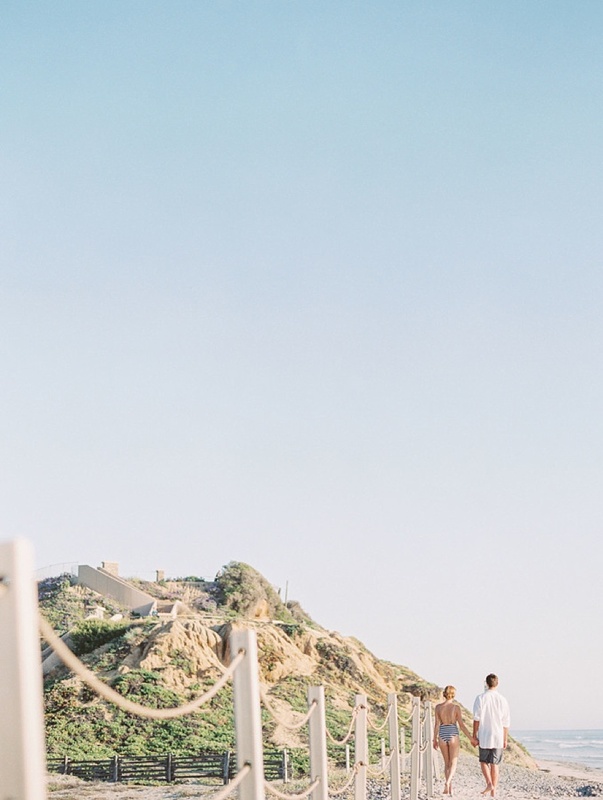 Local-to-San Diego wedding photographer, Mirelle of Mirelle Carmichael Photography, shared that the inspiration came from the local surfers, colorful lifeguard booths, and the sunkissed Pacific Ocean. This editorial paints the idyllic scene for any free-spirited couple in love celebrating their I Do's with Surf's Up!